It’s true, Kylie returns in 2014. Those who know me deeply well, can confirm that I’m a huge fan of her. It all started about ten years ago when I heard Can’t Get You Out Of My Head for the first time, I was 11 years old. Since then, her music has been part of my life, I know most of her lyrics and she’s the only “pop” thing that I keep on my music library. So, although the first single of Foster the People's second album has been released too (which I’ve been desperately waiting for), today is time to talk about Miss Minogue. The single is called Into The Blue, and I’m pretty sure that is going to become a song that makes you sing/scream on the dancefloor. Filled with rhythm and positivity I think is the best of her in recent years. Nothing else to say, its official release will be on January 27, and we have to wait until spring for hearing the whole album, her first one with Roc Nation. Meanwhile, let’s enjoy Into The Blue. Pues sí, Kylie vuelve en 2014, y como bien saben los que mejor me conocen soy superfan de la australiana desde su famoso “Can’t Get You Out My Head” cuando yo era una enana de 11 años. Desde entonces su música me ha acompañado, me se casi todas sus canciones y realmente es la culpable de lo que queda de “pop” en mi sistema. Así que a pesar de que también esta semana ha salido el primer single del segundo y esperadísisimo por mi parte álbum de Foster The People, hoy toca hablar de Miss Minogue. 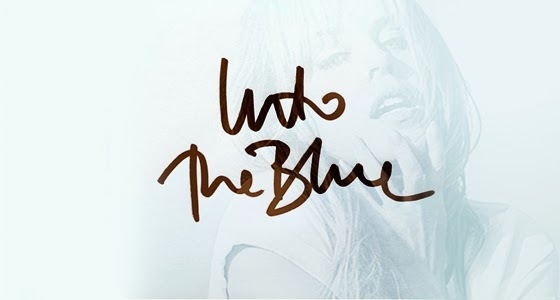 El single que corre por la red se llama Into The Blue, y tiene todas las papeletas para convertirse en esa canción que te hace saltar y cantar como una loca a las 3 de la mañana cuando por fin suena allí donde estés. Cargada de ritmo y positividad, creo que es lo mejor que ha sacado Kylie en los últimos años. Bueno no mucho más que decir, oficialmente saldrá el 27 de Enero en digital y para escuchar su primer álbum bajo el sello de Roc Nation (el de JayZ), tendremos que esperar unos meses más. Mientras tanto, a disfrutar Into The Blue.